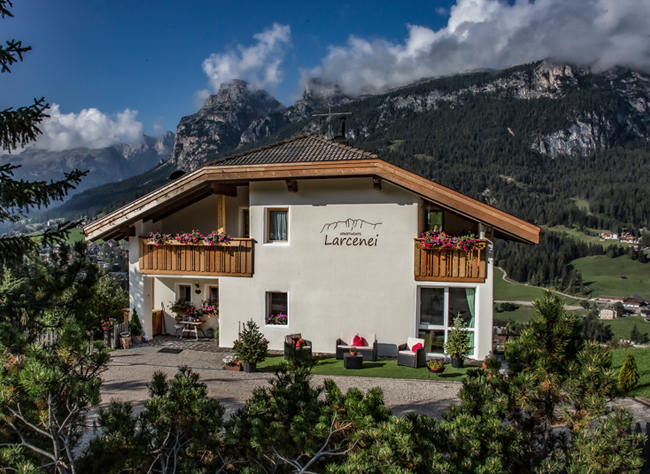 Welcome in Alta Badia and to Larcenei’s farm! 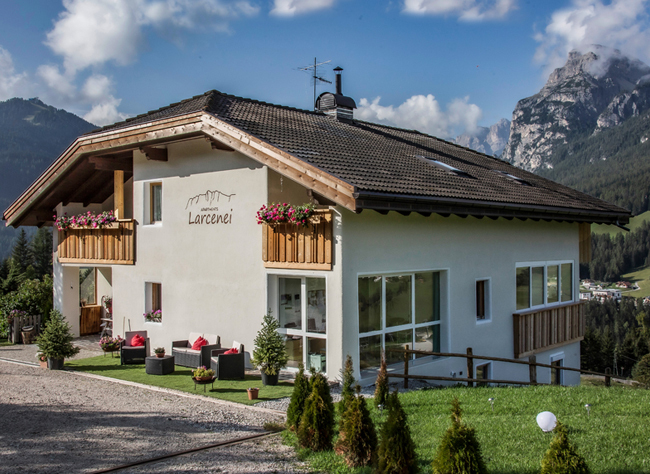 Our farm is located in a beautiful meadow at the bottom of S. Croce mountain. Here you will find the peace that will give you the possibility to relax. It represents a good starting point for beautiful walks and excursions. We offer a free ski bus service which takes you comfortably to the lift facilities which are only 1,5 km away. We open all the year and Fam. Schenk will be very happy to welcome you at our farm.